Hello and welcome to Part 4 of the Wade's Blanket CAL, hosted by Zooty Owl and Kokopelli Design. Gauge is not too important with this blanket. Yarn thicknesses vary somewhat from brand to brand as do the tensions of individual crocheters. The most important thing is that your tension remains even throughout the blanket - this will ensure that your squares will always be the correct size, for example if this square measures 14cm x 14cm then the next two patterns will also measure 14cm x 14cm (instead of my 12cm x 12cm) and the fourth one 7cm x 7cm (instead of my 6cm x 6cm). 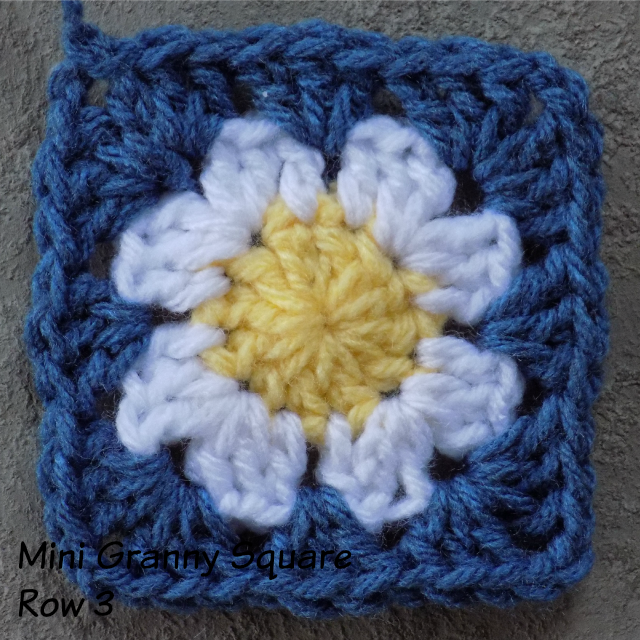 Make twice as many of these squares as you made for Parts 1, 2 and 3. I hope you are still having fun with this CAL! Please join us again in two weeks for Part 5, where we will start making the stripes! I almost missted your wades blankeet cal due to a bad non working bloglovin. The blanket is gorgeous. Gives a smile on my face. I want to make this blanket later in this year. Thanks for desinging and sharing the CAL-patterns. Your afghan makes me happy just to look at it - beautiful colors and patterns!